Did you know blog articles with images get 94% more total views than those without? With such a simple way to get impressive results, using images on your blog is a no-brainer. But do you know how to use Internet images legally? Keep copyright infringement at the top of mind while scouring the web for that perfect pic, because forgetting about it can cost you. Even though most people do not intend to illegally use images, intent doesn’t come into play when it comes to copyright infringement. No matter if you accidentally use a protected image, you’ll still be expected to pay a hefty fine, and fines can run upwards of $900. To add insult to injury, once a fine is paid, you’ll still have to remove it from your site because paying a fine is not the same as buying the rights to publish. The use of the word “free” here is misleading. A royalty free image means that while you are not required to pay each time you use the image, you will still need to make a one-time purchase of the rights in order to use the image on your blog. Royalty free images can still result in copyright infringement penalties, if their found to be on your site illegally. Images in the public domain can be used without restriction for any purpose. Why? Because nobody owns or controls the rights to the image. This is a public copyright license where the original creator of the image has decided to allow others share, use, and build on the original free of charge. Note that some public domain and creative commons images require attribution or links back to the original image source, so be sure to check requirements of use. These are simply the most common licenses, so be aware that there are additional types of licenses in circulation. If you come across an image with a different license, be sure to do your research before posting it. While understanding the difference between licenses and always attributing your images can help you maintain legal image use, you can still run into trouble when images are licensed incorrectly. For example, a person may buy a CC image for his or her own purpose, but then upload it to an image-sharing site and label it with a CC license. If that happens and you use that image, you’re still infringing on the copyrights held by the original artist – and since intent doesn’t matter when it comes to copyright infringement, you may be fined. That’s pretty scary and it happens more than you might think. 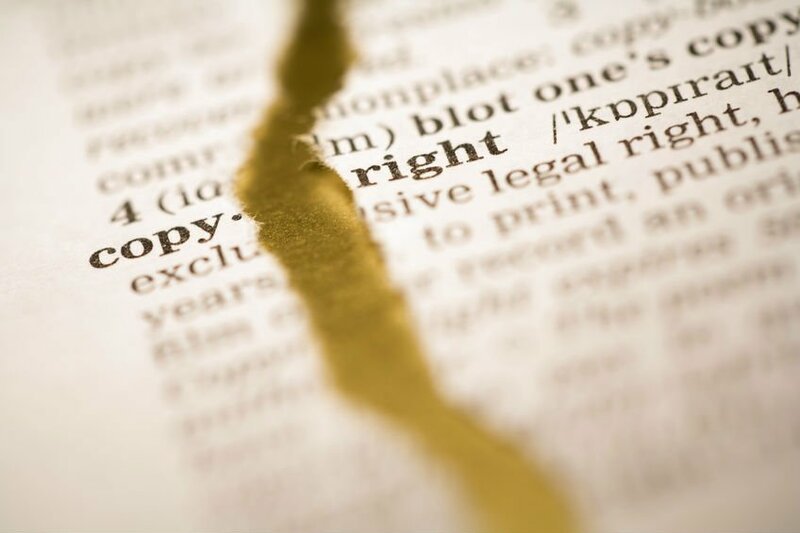 Fortunately, there are options for those who want to eliminate the risk of violating copyright laws. Here are a few ideas to help you along the way. Buy the rights to the images. Buying image rights is always an option, but the cost of doing so can range from a dollar to $15.00 or higher. Depending on how many blogs you post, doing so for every one may not be within your budget. Hubspot has a pack of 60 social media image templates that you can download and use to quickly create images for your blogs, social media, infographics, and calls-to-action. Canva allows you to easily drag and drop images, shapes, text, and more to create stunning graphics and images. Background images can be purchased, used for free, or uploaded from your desktop. Similar to Canva, Piktochart provides everything you need to build graphics. Both free and paid versions of this tool are available, so it’s up to you to decide which version you want to use. Today’s smart phones have surprisingly impressive cameras and filters that make it easy to snap a pretty decent photo. When you need an image for your blog, make one yourself, and begin to build an image library of your own. Not only can you be absolutely sure you’re not breaking any copyright laws, but you’ll have some incredibly unique photos. Download images from trusted sources. US Library of Congress, Prints & Photographs Online Catalog (PPOC) – take advantage of one the richest sources of information in the world. Using images is an easy way to increase the chances of your blog or social media post getting noticed. But there are rules (and by rules we mean laws) that govern image use. Be sure you understand the ins and outs of the copyright license that governs the image you intend to use. Better yet, choose an image with a public domain or creative commons license. If you’d like to learn more about VONT and the work we’ve done with our client partners, visit our Work page. Or, if you have a question, either leave us a comment below, or contact us.